Lior is the CEO of ANSEC, a research institute that focuses on identifying global security challenges stemming from the technology innovations of the 21st Century. He is the co-Founder of the Galilaea Group, a boutique investments firm specializing in High-Tech companies in the fields of Cyber-Security and Energy. 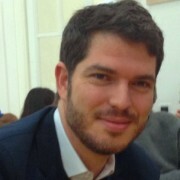 Lior serves on boards of young companies and global public organizations. He holds a BA in Geography from the Hebrew University in Jerusalem, an MA in Energy and Geopolitics from SciencePo and the IFP School in Paris and an MA from the Fletcher School of Law and Diplomacy at Tufts University.